Sofa Beds are becoming a necessity in our homes in order to maintain our vivacious social lives and so to ensure you make the right decisions, here is a guide on how to measure your space for a sofa bed. With apartments and houses for that matter getting smaller by the day, or should we say more expensive by the day, it is becoming increasingly popular for our friends and family to have to crash on our sofas or mattresses on the floor. At Furl we are excited by functional design and so we make sofa beds that you can sleep on every night. Gone are the days of having to feel an annoying spring in your back or rolling out onto the floor before morning. Still a little unsure, or finding it too good to be true, come and visit our Showroom to find out for yourself – don’t worry if you fall asleep, we shall take it as a compliment. Measuring your space for a sofa bed however is crucial, not only do you need to think about where the sofa will be going and how you wish to use it, you will also need to consider access so your sofa bed looks as though it was truly made for the space, no matter what size the room. With later working days, the first thing we all want to do at the end of the day is relax and wind down on the sofa in front of the TV. For those with smaller spaces and perhaps only enough space for one sofa, it is common to want to fit the largest size of sofa possible. Be careful though when plotting out your room – leave yourself enough space for a side table or coffee table to hold your drink and books. Of course with sofa beds, the larger the size, the larger the bed. This will of course be a big decision to make when considering which size of sofa bed is right for your space. Write down the dimensions from our website – sometimes our sofa beds have more than one arm width, which of course affects the overall size. Have a look at the different arm options for each model and consider these when plotting the sofa size out in your room. 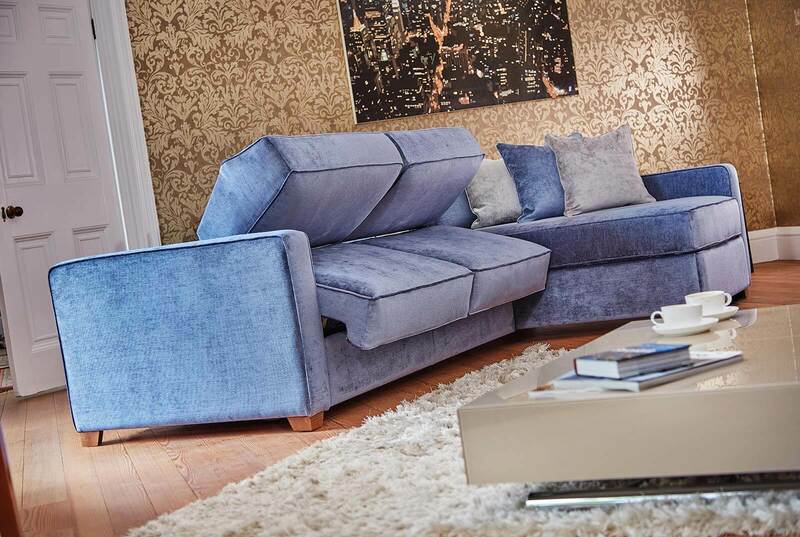 Make sure you measure your final specification of sofa bed (including all of it’s option that may affect it’s dimensions) in your living room before making a purchase. Top Tip: The best way of measuring is again exactly as we recommend you measure in our Guide to Measuring for a Storage Bed by using masking tape to map out the size of the sofa out onto your floor. Ideally you would like to have at least 40cm in between the sofa and your coffee table as this will leave you enough space to comfortably walk around the coffee table to the sofa bed. Ideally you would like to have at least 30cm on either one side or both sides of the sofa bed. This means that when it is open, your guests can access the bed with ease. Of course, the more space the more comfortable access shall be for your guests. In order to open the sofa bed, you will need about 210cm in length. Most of our sofa beds have an opening length of 205cm and so consider this within the positioning of your sofa. Top Tip: Make sure you can still open any doors both when the sofa is closed or open as a bed. Don’t worry if you are moving into somewhere new and you don’t have access to the space yet. Send through your floor plan or measurements and one of the team will advise which size would fit best. Most of our sofa beds are available in five different sizes providing you with five different mattress size options. We keep the mechanism as close to the sofa frame as we possibly can, keeping any opening dimensions as small as feasible. If your heart is set of a particular model and it doesn’t quite fit get in touch. As we make all of our products to order in the UK, we may be able to shave off a couple of centimetres from each arm (or more if necessary) to ensure a perfect fit. 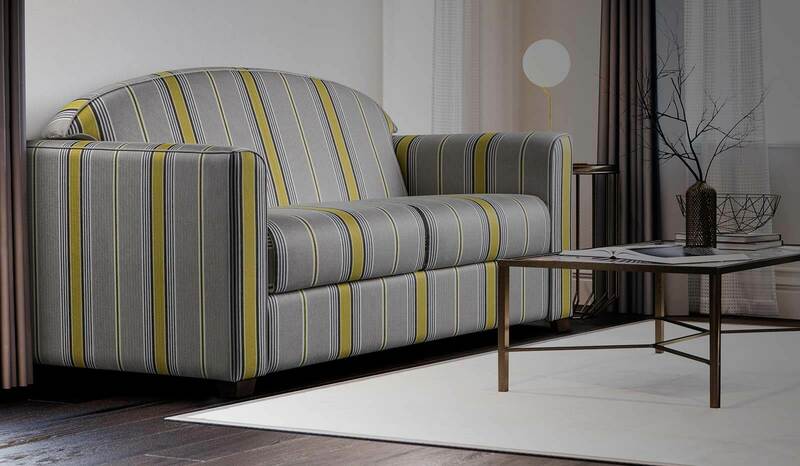 Top Tip: No matter which sofa model, if you choose a three seater the mattress size within shall always be the same no matter what the difference in overall width between the models. It is the size of the arm that varies the overall size of the sofa. For example, if you chose a three seater and go for a slim arm, the mattress will not be any bigger than if you chose a three seater with a wide arm. Top Tip: If you are struggling for space, or your space is limited, choose the slimmer arm option on any of the models. Once you have worked out which size of bed you might need and also which size of sofa that will fit into your room, measuring the access is the next thing to do. We understand tight spaces though and so we like to make our deliveries as simple as possible. Our Sofa Beds at Furl are delivered in sections and assembled on site by our very own delivery team if you select our Home Installation option. Despite making things really simple, we still advise measuring all of your access points to the room, especially if the space is tricky or if you are planning on creating a cinema room in the attic or playroom in the basement. Doorways – Is the height of your door no smaller than width of the mattress within the sofa bed? If it is then you will need to make sure that the access is sizeable enough to manoeuvre the item in the other way. Stairwells – How much height do you have? Do you think that you would be able to manoeuvre parts around this space? Consider any other items that may take up some of your space in corridors or entranceways such as picture frames, radiators or light fittings. Top Tip: The largest part of the sofa bed will be the folded mechanism containing the bed. This will be the width of the mattress in whichever size you select. If you are creating a den room in a tucked away space and have any questions about access please don’t hesitate to get in touch. Our delivery team will bring your sofa bed into the room, assemble it for you and then take all of the packaging away with them. The only thing you need to do is pop the kettle on.